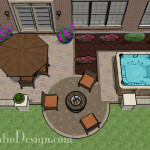 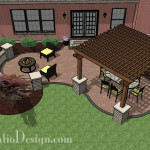 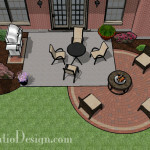 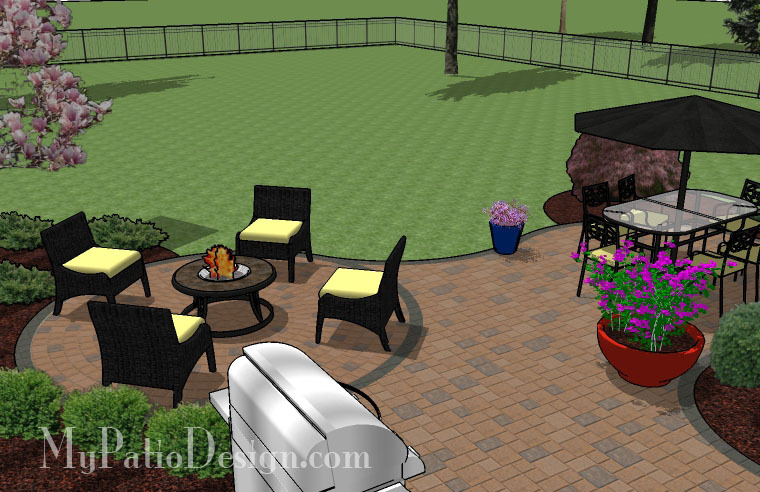 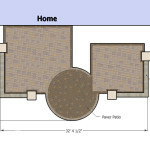 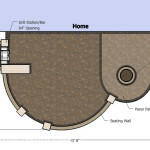 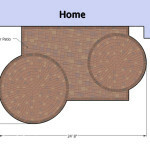 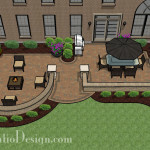 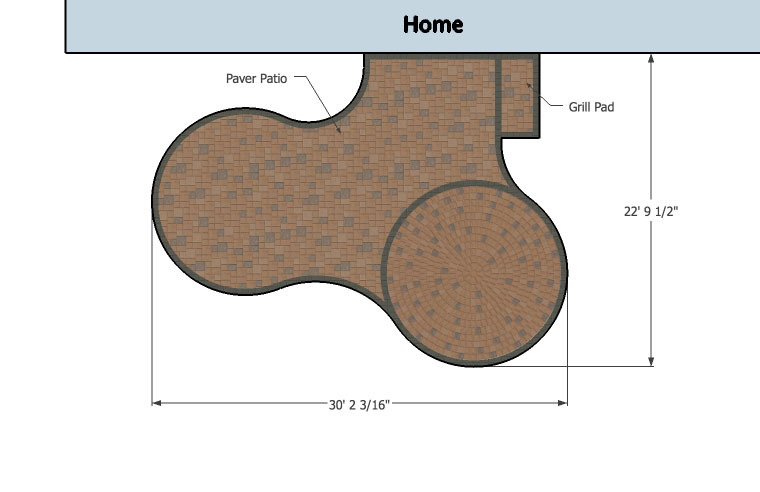 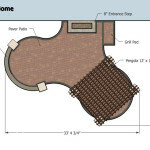 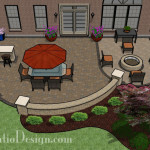 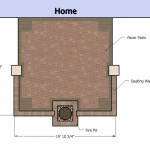 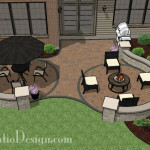 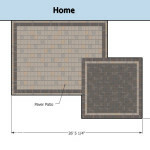 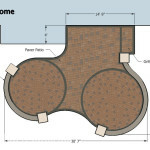 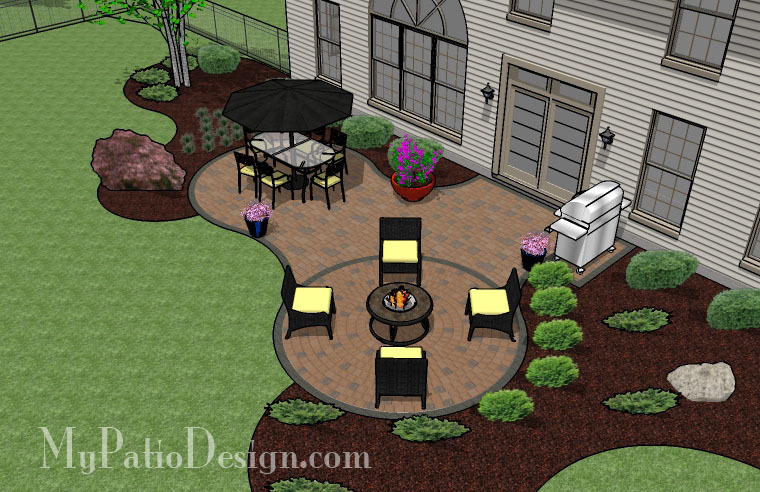 Medium curvy patio with room for dining table, fire pit and grill. 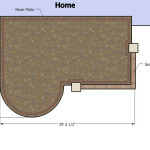 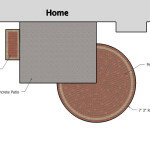 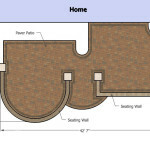 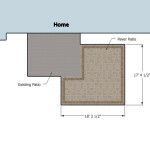 This 333 square foot patio is curvy and very natural feeling. 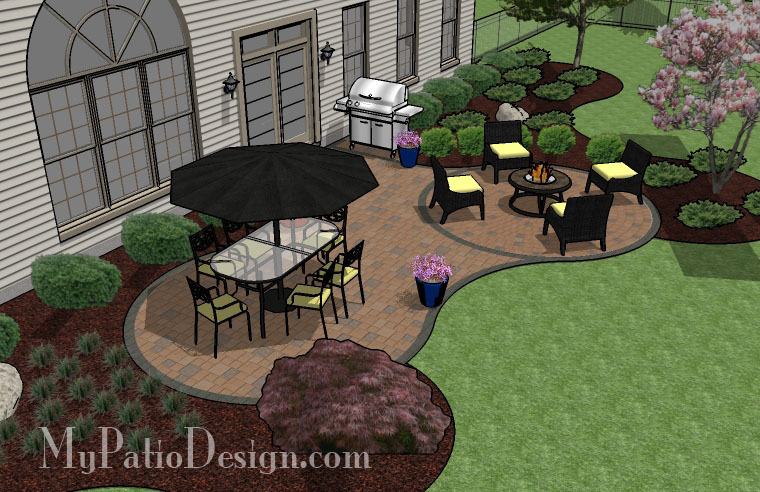 The patio is spacious enough to include a grill, large dining table, and a fire pit. 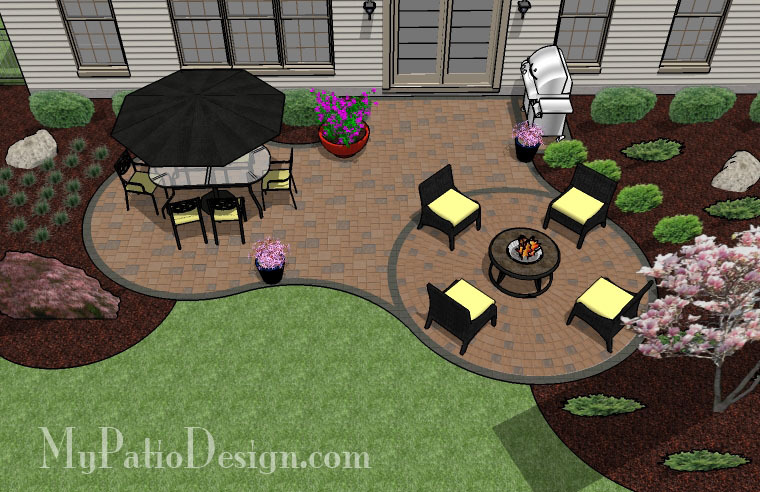 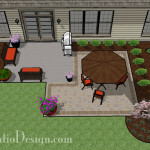 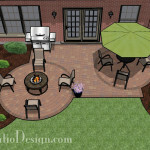 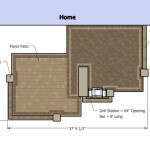 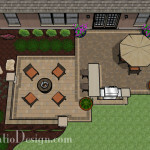 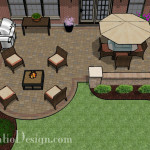 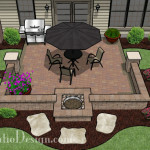 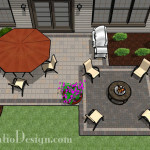 This layout is perfect for a Saturday barbecue, a summer dinner or just relaxing under the sun.